BioWare, an Electronic Arts Inc. studio, announced brand-new downloadable content (DLC) that expands the singleplayer experience for Dragon Age: Inquisition, winner of over 100 Game of the Year awards. 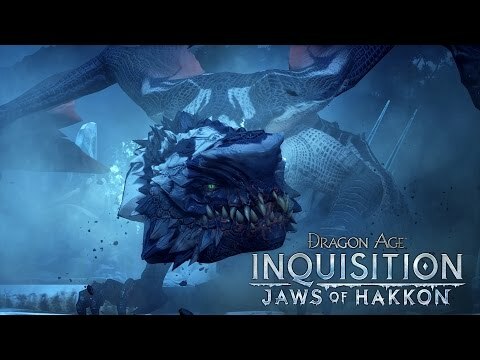 Now available for digital download, the Dragon Age: Inquisition – Jaws of Hakkon DLC adds an exciting new story arc to the campaign and expands on its already vast world with a new region of Thedas to explore. Dragon Age: Inquisition – Jaws of Hakkon is available first on Xbox One, the all-in-one games and entertainment system from Microsoft and PC via Origin for £11.99. Winner of over 160 industry awards, including more than 100 Game of the Year awards globally, Dragon Age: Inquisition is set in an epic, dark fantasy world where players are empowered to shape and drive their experiences. BioWare’s hallmark gameplay narrative will immerse players with engrossing choices that allow them to experience unique moments based on those decisions. 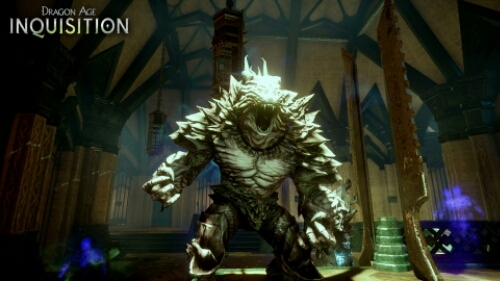 Dragon Age: Inquisition is developed on an RPG game engine underpinned by EA’s cutting edge Frostbite 3 technology. Dragon Age: Inquisition is developed at BioWare Edmonton with support from BioWare Montreal and other locations. Dragon Age: Inquisition – Jaws of Hakkon is available now for digital download first on Xbox One and PC as a timed exclusive. 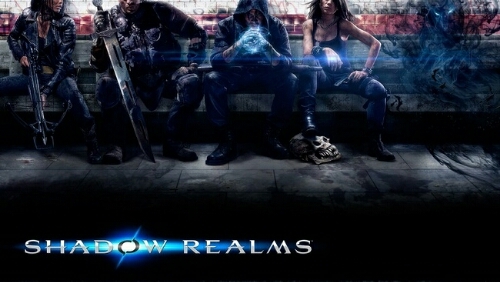 BioWare, have announced Shadow Realms, a new 4v1 story-driven online action RPG, set in a constantly evolving BioWare world where modern meets fantasy. Four heroes adventure against another player-controlled enemy, a malevolent force called The Shadowlord, in dynamic 4v1 co-op missions, ensuring that no two battles are ever the same. Players will have the choice to play either as – or against – The Shadowlord, building experience and progression whether they have chosen good or evil. The over-arching narrative will be released episodically, playing out over time like a great TV series, providing players the ability to experience story-driven adventures as a community. Join the battle with three other modern-day Heroes to fight the demonic Shadow Legions and a player-controlled Shadowlord to save all of humanity. Build both a Hero and Shadowlord that are deeply customized to the way players want to play. Visit www.ShadowRealms.com/play to sign up for a chance to get into the closed alpha. Become a fan of Shadow Realms on Facebook and follow them on Twitter via @shadowrealms. Shadow Realms is in development at BioWare Austin and will be available for the PC from Origin. Veteran BioWare designer Matt Rhodes has posted an array of Mass Effect concept art from throughout the sci-fi trilogy. This of course includes spoilers! It is a fascinating look at the early days of the series and some of the initial concepts. The art, posted on Rhodes’ blog, includes designs dating back to the series’ origins. It covers concepts about Tali and what her face looked like under the mask, an interesting story twist involving Shepard and a creepy looking creation of the Mass Effect 2 boss. Matt Rhodes said about his role as a concept artist “The role of a Concept Artist is the role of an explorer, tasked with charting a world without sunlight. You start off with your reference and research. These are well established base camps. You can enjoy his concept art in the link below including some concept art for Dragon Age as well. It is an interesting look through his process. With the close of Commander Shepards story, Bioware have released an infographic detailing everyone’s choices in Mass Effect 3. 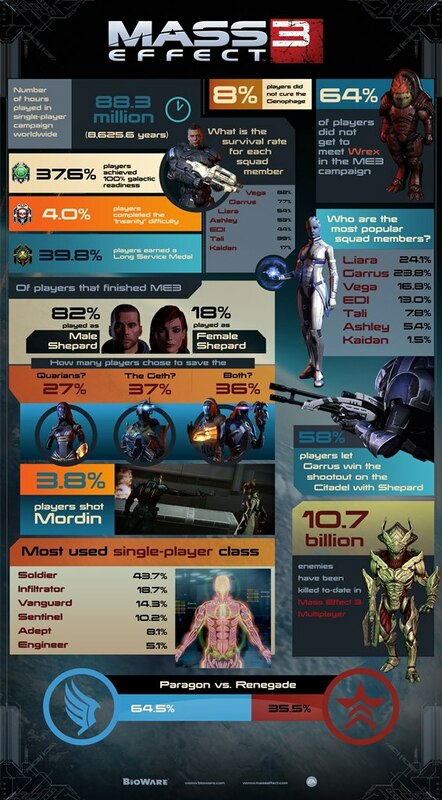 The graphic shows that despite the vocal popularity of the female Commander Shepard only 18% actually played as her and the most popular character is Liara. The info-graphic was released on Bioware’s Facebook page and obviously contains some spoilers. Bioware has announced its plans for the future following the departure of their founding members. Earlier in the week Dr Ray Muzyka and Dr Greg Zeschuk, the founding fathers of Bioware, left the company. To reassure the world, the company announced what’s next in line for development. The biggest announcement was that of a new IP for the next generation of consoles. 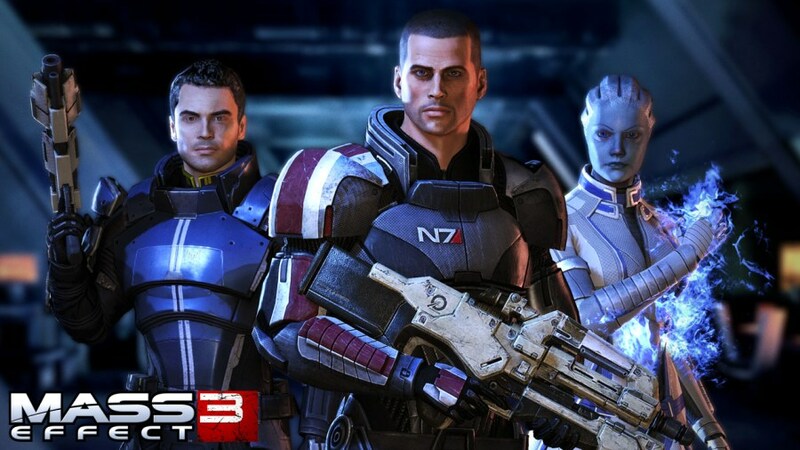 Their next project to launch will be more DLC for the highly popular Mass Effect 3. They have said they will develop more multiplayer and single player content. The single player content is strongly rumoured to be set on the Mass Effect 2 location, Omega. The add-on should see players team up with angry asari Aria T’loak to retake her crime-laden home from long time antagonists Cerberus. 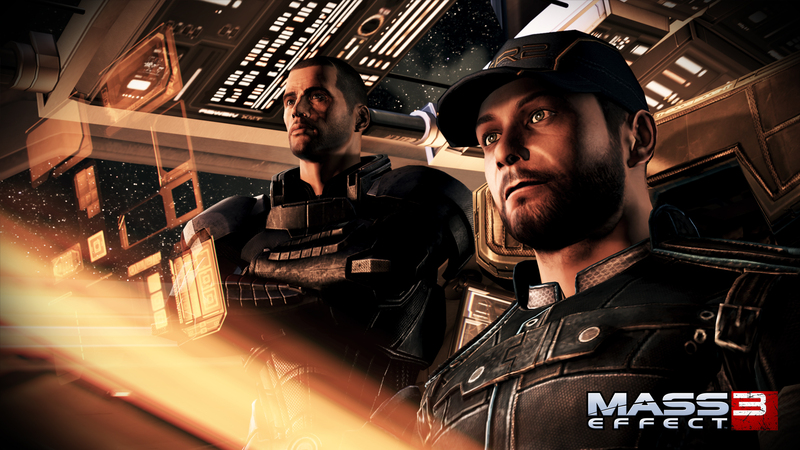 Bioware are currently looking in to how they can expand the Mass Effect series in to another game for the series. The company have also been working on their other highly popular series, Dragon Age. The third instalment was announced a few days ago named Dragon Age 3: Inquisition. No more details have been released about the game to date. Mr Flynn said about the departure of the Doctors “I know this might be concerning for some of you but the leaders at BioWare have had some time to think about it – to think about how the games, the fans, and the creative teams would move on without the two guys who started this organization back in 1995. Aspiring game designers looking to break into the industry should work on tabletop roleplaying games in order to learn about writing. That’s according to BioWare senior writer Jennifer Hepler who wrote plots for Dragon Age: Origins, Dragon Age 2 and Star Wars: The Old Republic. “If you don’t have a pressing need to make money, do a little time working for tabletop roleplaying games. It’s fairly easy to break in, because they pay peanuts, but you learn a ton about game design from working with dice systems.” she told the BioWare Blog, adding that it looks good when applying for jobs in the games industry. “And since most videogame designers (certainly of RPGs) are huge tabletop game geeks, it’s a great credit to have when applying for jobs. Most people in the tabletop field end up drifting into videogames eventually, since you can live on what they pay you, so you’ll also make contacts who can end up being helpful down the line.” said the Dragon Age writer. Hepler also described how she and her husband – Mass Effect writer Chris Hepler – broke into the games industry and even had a stint in Hollywood. “My entry into games came in college when I met my now-husband and was introduced to Vampire and Shadowrun.” she said. “We then took a detour in Hollywood for a few years, but it was a very natural gravitation back toward games which brought us to GDC to meet Bioware. After six years in Hollywood, when we were still calling “extras” “NPCs,” we figured maybe we were in the wrong field.” Hepler added. Read the full interview with BioWare senior writer Jennifer Hepler here, in which she also details what her job involves. There’s more advice from professionals on getting into the industry here on The Train2Game Blog, with more information on Train2Game courses here. What are your thoughts on the idea of using tabletop RPGs as a base for getting into the games industry? Getting a foot in the door is the most important thing for those looking to get into the games industry. That’s according to BioWare product manager Nick Clifford, who started with the Mass Effect and Dragon Age developer as a QA Tester before moving into his current role. “I started in the industry as a QA tester. I spent about a year testing games before I made the jump to marketing. 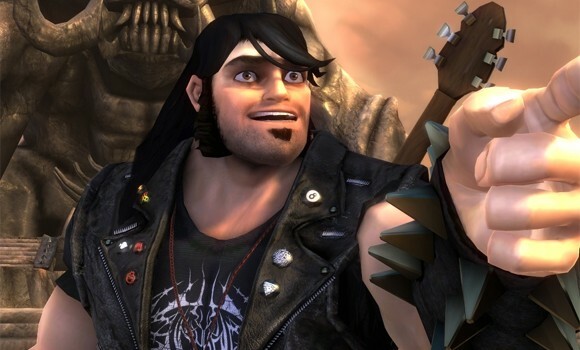 You have to get your foot in the door, whether it’s testing or by making connections with people.” Clifford told the BioWare Blog, before adding that no matter if you’re a game designer, a game artist or something else, having a portfolio is also key. “If you have a trade such as writing, do some fan fiction, if you are an artist, draw! The way to get noticed is to show off your skills. We are always looking for talented people to join the BioWare family.” he said. Of course, Train2Game offers a potential foot in the door for students with the work placement scheme. There’s much more advice from games professionals on getting into the industry here on The Train2Game Blog. What are your thoughts on the advice from BioWare’s Nick Clifford?